The luxury private suite on Air France includes a seat that transforms into a bed, accompanied by a Sofitel duvet. For a cool $21,000, flyers can now spread out in the sky, occupying their own three-room cabin complete with a shower and butler aboard Etihad Airways. It remains to be seen whether The Residence on Etihad proves profitable, but observers agree on one thing: It has moved the bar higher in an escalating amenities race in airline fore cabins. 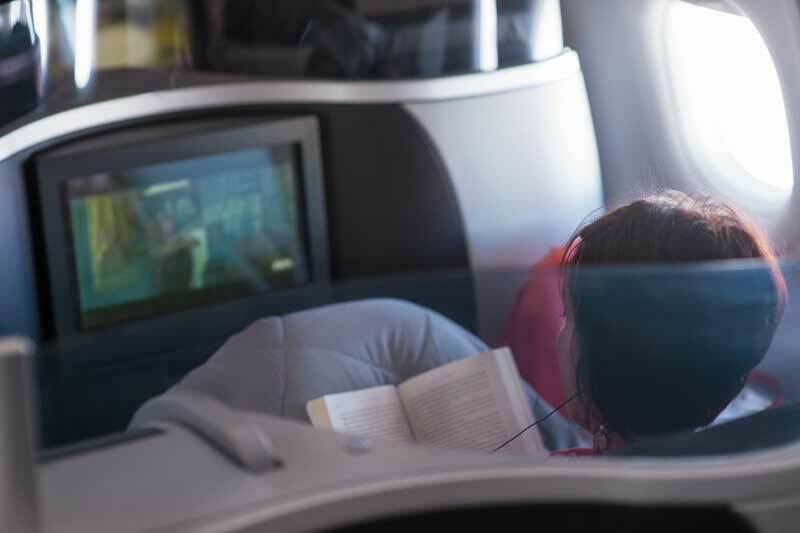 Whether it’s called first or business, the front cabin of the plane has become more luxurious, balancing the well-documented degradations in the economy cabin, including carry-on fees and pay-per-view entertainment. In many ways, the concept of first and business has fused. After British Airways introduced lie-flat seats to its business class cabin in the mid-90’s, first class cabins began to feel inferior. The notion of privacy in the air is driving improvements. American Airlines’ new transcontinental service includes a First Class cabin with one lie-flat seat on either side of the aisle, along with WiFi, power outlets, a 15.4-inch touchscreen TV. Business class offers similar amenities, but flyers have a neighbor. JetBlue Mint, JetBlue’s new premium transcontinental service, features four lie-flat seats that are “suites,” single-configured aisle seats with doors flyers can close for privacy. Flying globally, Air France recently introduced its new La Premiere class featuring seats with an ottoman that converts to a chair for shared meals, and a privacy curtain. 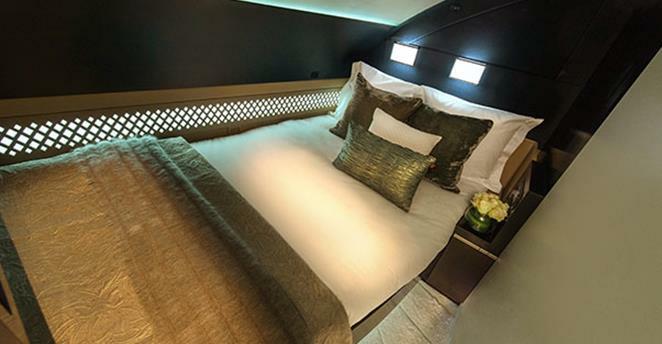 The ultimate in seclusion, of course, is Etihad’s new Residence, a three-room cabin with a bedroom and shower-equipped bathroom, that launched in December on between Abu Dhabi and London. An additional nine First Apartments offer access to a shared shower room. With the addition of seatmates, the luxury experience is similar in beefed-up business cabins. Last spring, KLM introduced lie-flat seats in World Business Class with seat dividers and staggered configurations. On most transcontinental routes, Delta Air Lines business class features lie-flat seats with bedding from Westin Hotel’s Heavenly Bed collection, and meals designed by California chef Michael Chiarello. Some carriers are offering entire planes with just one all-business-class cabin. Launched last summer between Paris and Newark, the French business class carrier La Compagnie is adding a London-Newark route beginning April 24. The boutique airline carries 74 lie-flat seats in two-by-two configurations. Flyers receive amenity kits from cosmetic company Caudalie, food created by Michelin-starred Chef Christophe Langrée and French wines. Qatar Airways new Business One flights host 40 fully reclining seats and operate between London and Doha. Some will pay quite a bit more. Four Seasons Hotels & Resorts recently introduced its own 52-seat private jet, flying multi-country leisure itineraries from $69,000 per person. Technology, too, has helped make the most of underused assets, particularly private jets. Florida-based entrepreneur Sergey Petrossov launched JetSmarter in 2013, providing members with access to empty-leg portions of privately chartered jets via a mobile app. Membership costs $8,000 annually, after which those flights are free. Currently the company offers about 2,500 flights per month with the goal of 10,000 by year end. “The majority of our travelers are business travelers,” said Petrossov. “They’re not using it as a luxury tool but as a productivity tool. Private aviation is a time savings that outweighs any other value proposition.